Nevada’s Republican candidate for governor says that if he could, he would “go back and knock some sense” into the “drunk teenager” he was more than 20 years ago when he was arrested for assaulting a police officer in Virginia. Adam Laxalt, Nevada’s attorney general, released a statement to The Associated Press on Monday after records obtained by the Reno Gazette Journal show he was taken into custody for underage drinking in 1996. Nevada Democratic Party Chairman William McCurdy II is calling on Laxalt to release his bar association application and full criminal record following the newspaper’s report. Laxalt is running for governor against Democrat Steve Sisolak. Sisolak campaign spokesman Gringsby Crawford declined to comment. 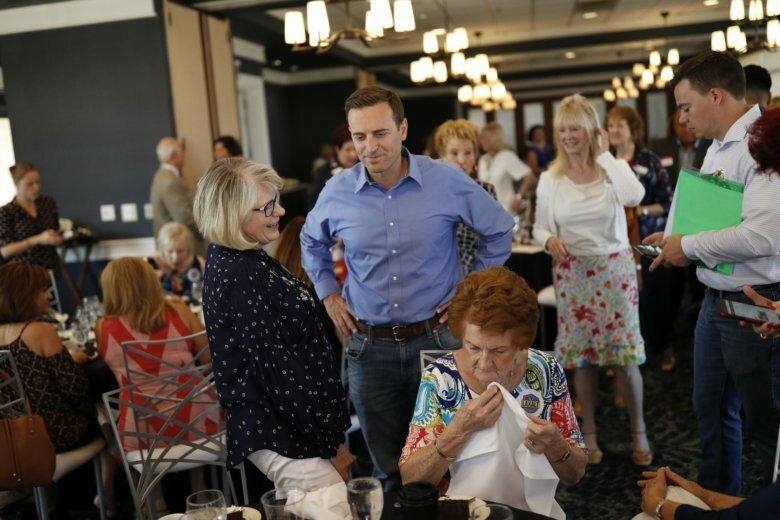 Laxalt’s campaign declined to comment on the request for release of his full criminal record. A 17-year-old Laxalt was drinking at a woman’s house when officers were called, according to the report. After police entered the residence, Laxalt said he “reacted the wrong way” and tried to keep police from coming into the home. “Today, as a law enforcement officer, I understand they were just doing their jobs,” he told the newspaper. That and other alcohol-related incidents prompted him to get sober, he said. Laxalt is facing Democrat Steve Sisolak in one of the most competitive, closely-watched gubernatorial races in the country. Nevada Democratic Party Chairman William McCurdy II demanded that Laxalt release his full bar application and full criminal record because of the newspaper report.